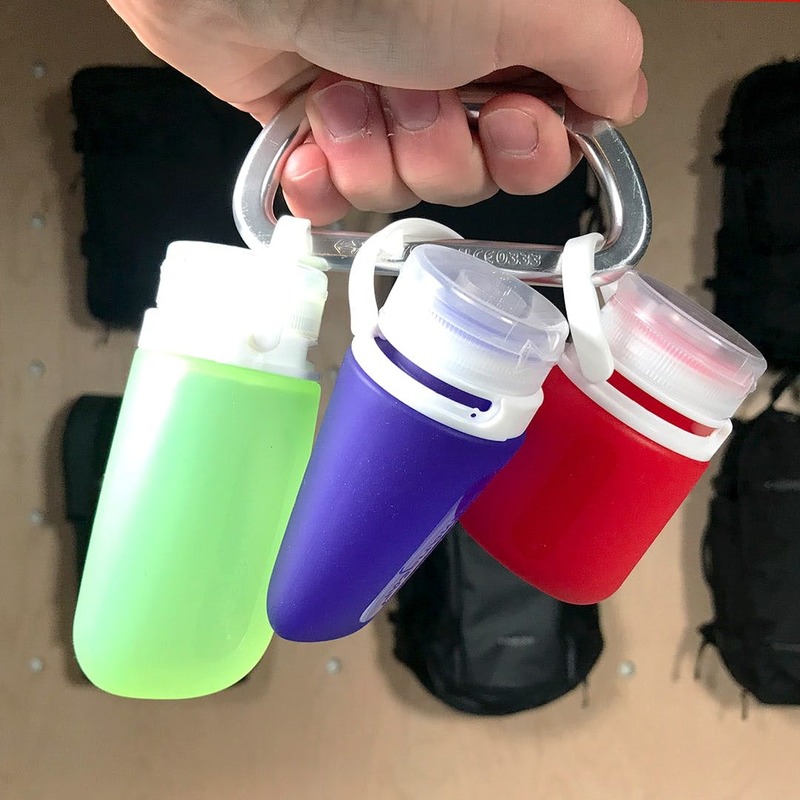 The GoToob+ is a TSA-approved liquid container from Humangear for carry-on travel with liquids. In this review, we also cover the original GoToob vs the GoToob plus. 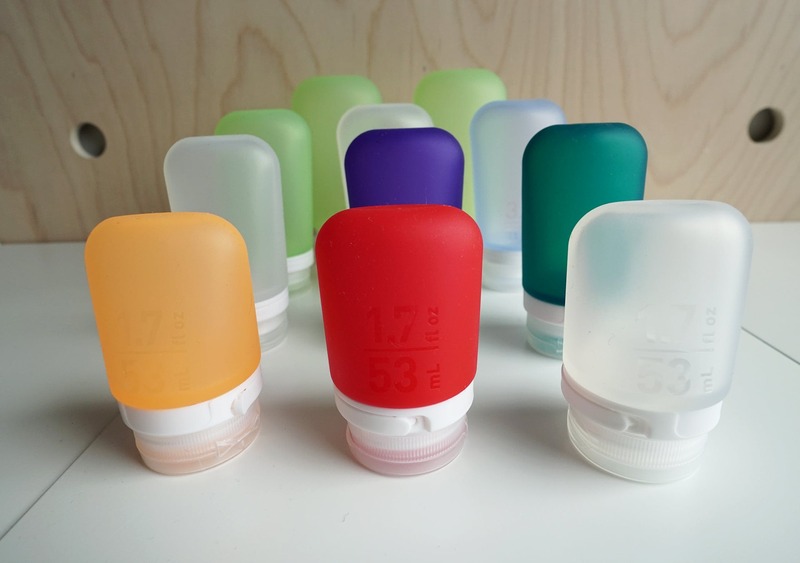 In this review, we are checking out the GoToob+ liquid travel containers from HumanGear. For the Pack Hacker veterans out there, you’ll probably remember our old review of the original GoToobs—this is the next iteration, and they’ve made some nice improvements on their original model. Let’s check it out. One thing you’ll notice right off the bat is that the GoToob+ comes in a bunch of different sizes and colors. There’s kind of a ridiculous amount of colors, actually—so if you’re really into customizing your toiletries or you want to match these to your packing cubes, you’re in luck. 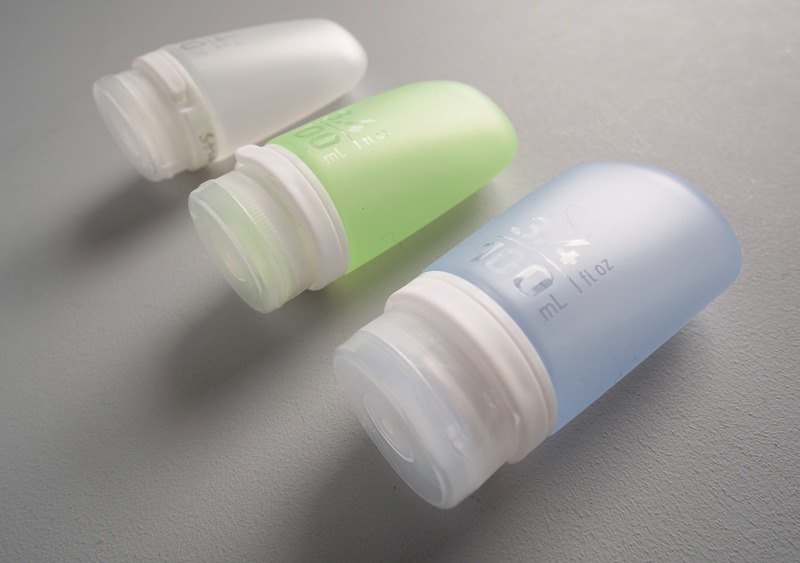 These bottles have a small area near the cap where you can write in a little label with a sharpie—no confusion and no need for memory games. We’d recommend using an oil-based sharpie, but a regular one will work as well. PSA: If you label these with a pen it’ll easily smudge off, even after 24 hours. Yeah, we tested it. Stick with a sharpie. The GoToob+ also come in a variety of sizes. There’s small, medium and large (1.7, 2.5, and 3.4 ounces, respectively). We’ve mainly been testing the 3.4 ounce size as that is the maximum amount of liquid you can carry on a flight. We’re into one bag travel here—checking bags is literally the worst—so we’re going to stay away from the larger, 6 oz size. This could be a useful size for camping or something, but we haven’t personally found much use for it. Maybe you could fill it with pancake batter and make some cool pancake designs? And if you are someone who likes having tubes of pancake batter on hand, you’re in luck because these are all made of FDA approved, food-safe silicone. So you actually can put food products in there… If that’s your thing. If you’re wondering what the original GoToobs are like, you can check out our previous review here. 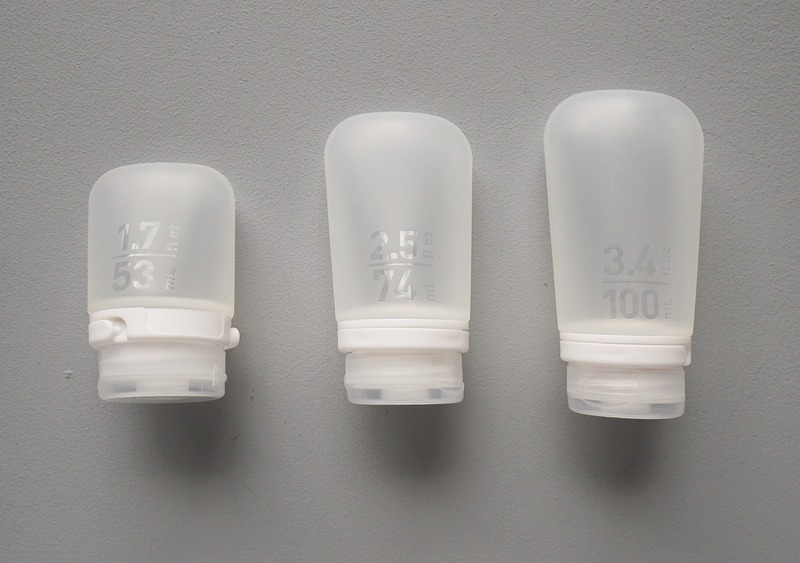 We’re going to summarize the main differences in this review, but if you’re really into toiletry containers you may want to check that one out to get all the details. The first major difference is the labeling system. As we explained above, the GoToob+ has a textured area where you can write in your labels. The original GoToob has a little carousel system where you can scroll through a few different preset labels—soap, lotion, sun, and one that can be written on. This works fairly well, but the one label that allows for writing is really small and hard to write on. We think the GoToob+ is the clear winner here, the new label system is definitely an improvement. The GoToob+ also has a larger opening—27% larger, but who’s counting?—however it’s really not that noticeable. These things are still a pain to clean, although they are dishwasher safe in the top rack. We rarely find dishwashers during our travels, so for the most part we end up cleaning these out in a sink by sort of swishing stuff around with our fingers—not ideal. It’d be cool if they flipped inside out for cleaning. Another interesting upgrade on the GoToob+ is the flat bottom. Although it may not look like it, the bottoms on these are flatter than the original GoToob, so you can stand them up and pour liquids in. This is a simple upgrade that just makes sense, and while not a total game-changer, we thought it was a nice touch by HumanGear. 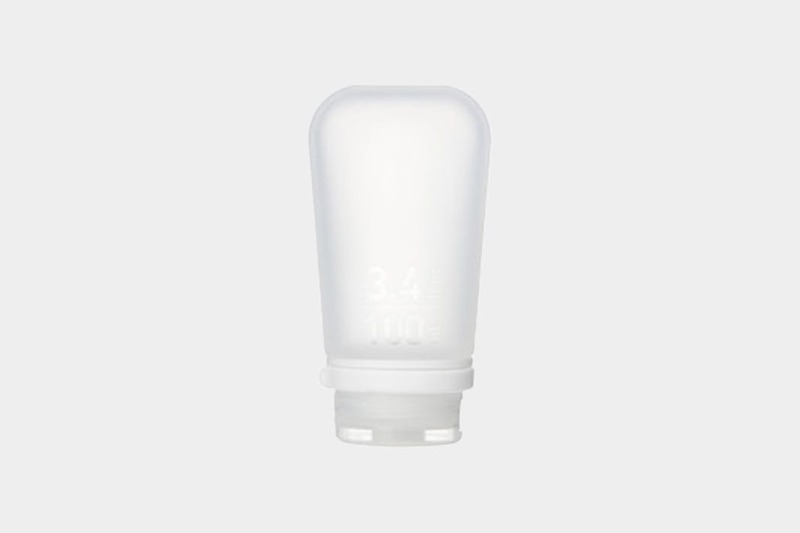 The toobs stayed stable even while pouring in liquids with low viscosities—including water. The other major upgrade on the GoToob+ is the LoopLock™ system, which is really just a plastic loop that comes up and over the cap. This is great for hanging up the containers if necessary (maybe shower space is limited in your Airbnb) and also doubles as an extra layer of protection. If you flip the loop up it will help prevent the tubes from opening up during your travels. No one likes a backpack full of shampoo, after all. Keep in mind that both versions have a one-way silicone valve that only opens when you put pressure on the GoToob itself. In theory, this should totally protect from any leakage, but hey—you can never be too careful! Lastly, the GoToob+ has slightly larger and more apparent text on the outside so it is abundantly clear how much each container holds. Another nice touch that should help you avoid any altercations with the TSA. So, the big question is… If you have the original GoToobs, should you upgrade? That’s up to you, but we will say that both versions are very similar. The major upgrades with the GoToob+ are the label system, LoopLock™, and flatter bottoms. Just a note: we have tested the limits of this silicone, which is supposed to be good up to 190 degrees celsius. We threw it in both boiling water and the oven, and we’re happy to report that the silicone held up perfectly well. Keep in in mind that some liquids are restricted in these—DEET-based insect repellents and alcohol-based liquids are a no-go. Probably not the best containers to use if you’re trying to smuggle some booze past the TSA—which for the record, we do not condone. The one main grievance that most people have with both the original GoToob is the durability of the caps. They have been known to crack or even shatter after dropping the containers in the shower or onto any hard surface. Although it hasn’t happened to us during regular usage, we did test this out by throwing the GoToob+ onto a concrete floor at varying velocities 10 times. The cap cracked very slightly, but didn’t break (and we were chucking it pretty hard on throws 8, 9, and 10). For both the original GoToob and the GoToob+, the caps are made of the same material according to the Humangear website. We’ll see if the cap becomes more brittle & prone to breaking over time. As long as you are somewhat careful with these caps, you should be fine. And if they do break, you can send them back to GoToob for a replacement. You can also buy replacement caps on their site for a few bucks. Humangear left this comment over on our YouTube video: “Regarding the warranty, if a cap breaks, we’ll replace it for free. Our warranty contact address is support@humangear.com, and we usually respond within a day. 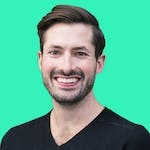 We also sell caps separately in case people lose them and need replacements, but we never charge people to replace broken caps.﻿” Pack Hacker has not verified this first hand. The only other grievance we’ve had with these containers is that the silicone does attract hair and dust pretty quickly. Not the end of the world, but you may notice it during your travels. All in all, we have been really happy with both versions of the GoToobs. We’ve been testing the originals for 1.5 years and the plus version for two months with no complaints. Great! Liking the labeling system and the LoopLock™ feature. Still holding up well. Bits of hair & dust can stick to the silicone material a bit. The GoToob+ is a nice upgrade from the original GoToob, but still shares many similarities. Major upgrades include the use of food-grade silicone, a new LoopLock™ system, and a nicer labeling system. While many users have reported durability problems with the caps, we’ve found that as long as you’re somewhat careful you should be okay. At the end of the day, these containers do a great job of holding liquids and preventing leaks—pretty much everything you want out of a TSA-approved liquid container!